Riverfront Property on the French Broad! 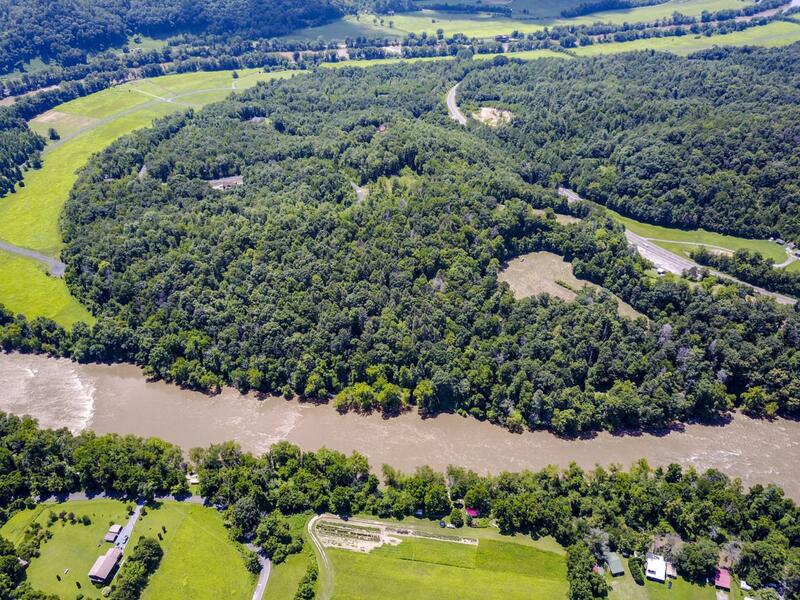 Our seller has approximately 18.00+/- acres of riverfront property for sale in Del Rio, Tennessee. This property fronts the French Broad River, a tributary of Douglas Lake. The 18+/- acres have been divided into two 9.00+/- acre tracts, and each tract is priced at $149,900. Collectively, the property offers about 1,500 linear feet of river frontage with beautiful mountain and valley views. You can fish the French Broad River in the heart of the mountains right from your backdoor! These tracts are unrestricted and would serve perfectly for a riverfront home, cabin, or camper. Large mature hardwood trees shade most of the property, however there is some pasture. Please scroll through the photos, and you will see that this land is basically untouched.This is an excellent location - right on Highway 25/70, about five miles to downtown Newport, and about five miles from the North Carolina state line. This is paved, highway frontage with no back roads to navigate. After a short drive, you can be in downtown Gatlinburg in the middle of the Great Smoky Mountains, visit Pigeon Forge for endless entertainment and dining options, or boat and fish the nearly 30,000 acres of Douglas Lake. Live on the river in the mountains, and play everywhere else in East Tennessee!